If you're not an IT manager or an employee of a company with a sizeable tech infrastructure, feel free to skip this post. But if either of those descriptions fit you, you may be interested in Amazon's latest foray into B2B services. 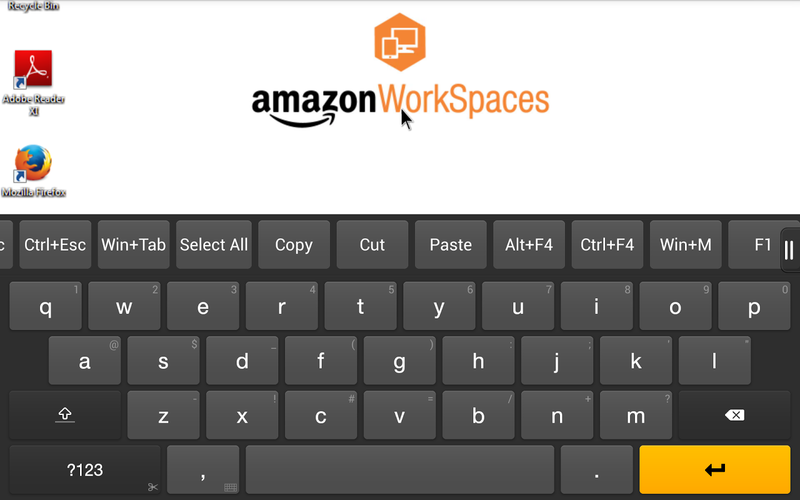 Amazon WorkSpaces is a remote, virtualized desktop - basically your own personal Windows machine that lives in the cloud - and it's got an Android client just one day after the service was launched. From an end user perspective, WorkSpaces is very similar to all the other remote desktop apps out there, except that you're not logging into a physical machine. From a corporate perspective, Amazon is now competing with the likes of Microsoft and VMware in the realm of virtualized cloud machines. This sort of thing definitely isn't for everyone - you'll need a corporate system in place to begin with, and pricing is between $35 and $75 a month depending on the virtual hardware, software, and services you want. Amazon's description is pretty short, but the interface looks similar to the likes of Splashtop - basic point-and-drag gestures, some menus accessible via a side-swipe, that sort of thing, with a general Kindle Fire. WorkSpaces is intended for use on tablets, and also has clients for iOS, Windows, Mac, and the Kindle Fire. P.S. Amazon Video has been around since before the first Android phone, and there's still not a general Android client in the Play Store. A new toy for corporate customers? Client pops up the next day. C'mon, man. High-Quality User Experience. 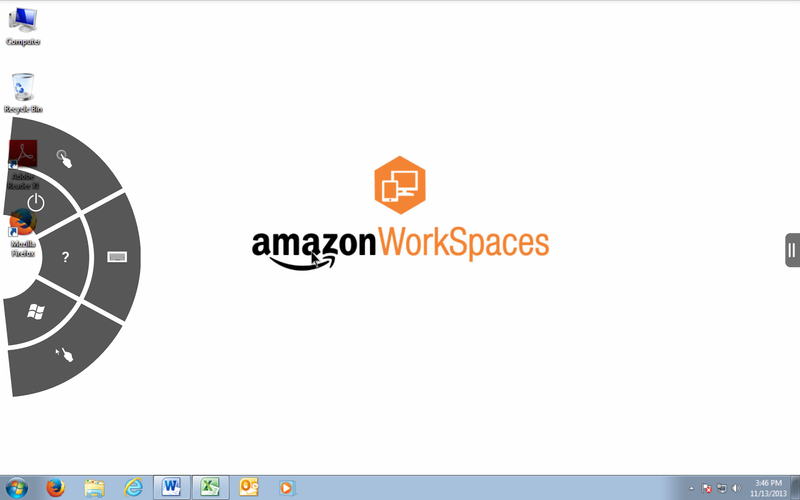 Amazon WorkSpaces includes technology components licensed from Teradici, and leverages the PCoIP (PC-over-IP) protocol to compress, encrypt and encode the users’ desktop computing experience and transmit ‘pixels only’ across any standard IP network to users’ devices. 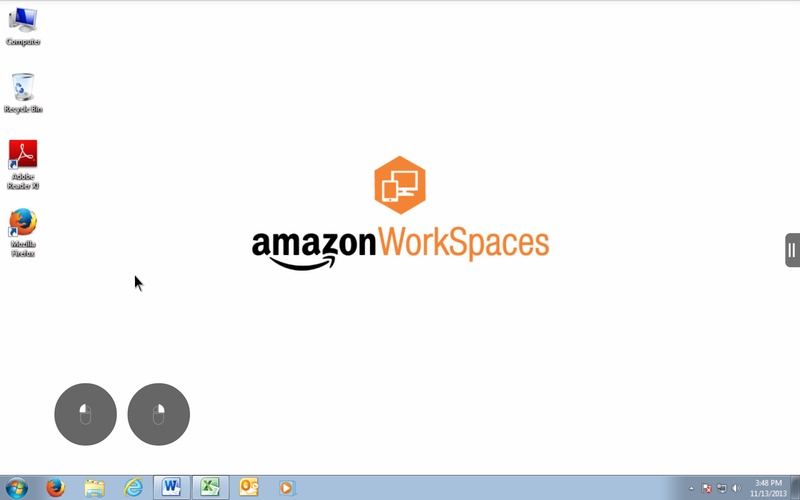 In addition, the WorkSpaces Sync client lets users sync their documents between theirAmazon WorkSpace and other computers so that they always have access to their documents. 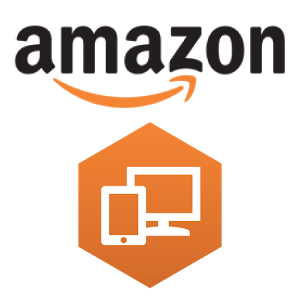 This client will be downloadable at no charge from the Amazon WorkSpaces client download page, and the Amazon App Store for Android, Google Play and the iTunes App Store.